Ethiopia imports over 70% of all its required construction materials including Cables, Steel, Ceramics, Locks, Furniture and Electrical fittings. In a nation that has such a lofty construction goals a range of import opportunities are available for the relevant companies. Construction machinery is also in demand. International trade data reveals that Ethiopia imported $307 million worth of large construction vehicles in 2014 - 78% of the $3.92 billion spent by the country on machinery imports that year. A further $ 24.8 million was spent on imports of other construction vehicles this year too. Any large scale construction projects will require metals in abundance. Reflecting this, Ethiopia imported close to $ 2 billion worth of metal products including raw iron bars, aluminum, copper wire and steel in 2014. 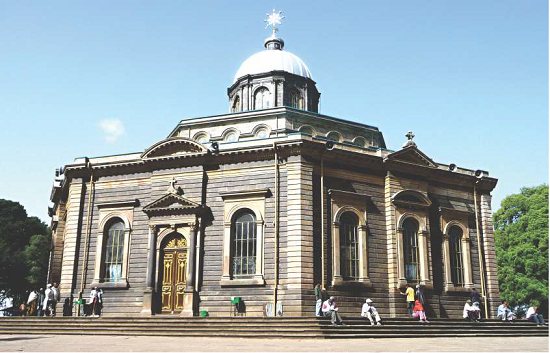 It should be noted that Ethiopia is naturally abundant in a number of materials utilized in the construction industry. These include marble, granite, limestone, clay and gypsum facilities to extract these minerals for processing. Cement is one area where Ethiopia appears to be excelling the domestic industry manufacturing around 5.74 million tonnes of cement annually. Consumption totals match production levels. However, it has been noted that demand could quickly outweigh the nation's production capabilities. As Africa's second most populated country, a substantial amount of housing is needed in Ethiopia. As such, the government has responded by stepping up condominium construction in numerous sites across the country. 700,000 condominiums are planned for construction. This burst of housing construction is part of the governments second Growth and Transformation plan period, which started in 2015 and will complete in 2020. Building new housing units across the country is a high priority for the Ethiopian government. While much of this construction is stemming from the developers, in 2014 the government invited foreign companies to invest in numerous housing projects. As such, the housing deficit does present international construction firms, architects and other related companies opportunities to expand into one of Africa's fastest growing economic climates. Hundreds of millions of dollars is being poured into road construction in Ethiopia. With an annual urbanization growth rate at around 4.5%, there is a need for strong transport links including roads. One large scale road construction project is the 200 kms. Modjo - Hawassa Expressway linking the two towers across South Central Ethiopia. The project is expected to cost approximately $ 700 million. As part of Ethiopia's infrastructure expansion require, the new road will be linked to the pre-existing Addis-Adama Express way. What is more intriguing is that it will also form part of a 10,000 km - African highway linking Cairo in the north to Gaborone and Cape Town in Southern Africa. If there is a project that sets the tone for Ethiopia's infrastructure development ideas, it is the Grand Ethiopian Renaissance Dam. This mega structure, situated some 500 km north of Ethiopia's capital spanning the Blue Nile river which will be Africa's largest dam once it is completed. Italian construction firm Salini Impregilo is responsible for building the dam alongside the Ethiopian government.